BEVERLY HILLS, Calif. (April 30, 2018) – Acting as a demonstration of their vertically-integrated driver development platform, Scuderia Corsa will enjoy a dynamic weekend ahead with dual racing efforts at a premier level. 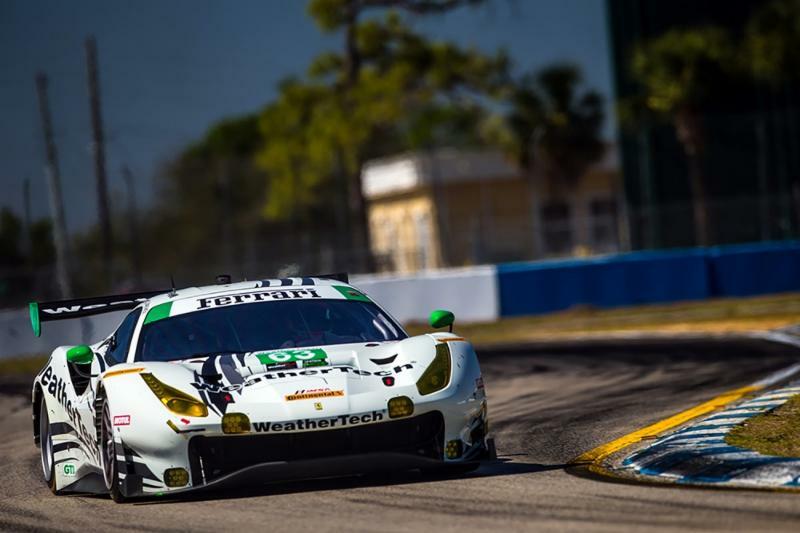 Taking to the scenic Mid-Ohio Sports Car Course for the team’s third round of IMSA competition, drivers Cooper MacNeil and Alessandro Balzan will arrive for their first “sprint” race of the 2018 season, meanwhile the team will also maintain an impressive 14-car operation at their home round of the Ferrari Challenge, taking place in Monterey’s WeatherTech Raceway Laguna Seca. Following the two signature events at Daytona and Sebring to open up the IMSA season, Scuderia Corsa’s No. 63 Ferrari 488 GT3 will arrive at Mid-Ohio for their first of seven sprint races in 2018. With the first two events lasting 24 and 12 hours respectively, Sunday’s two-hour, 40-minute event will place a premium on outright pace and perfect pit stops. As a 2.4-mile, 15-turn circuit, the series has actually not visited since 2013, meaning preparation and adaptability will be the keys to success for both the team and drivers. Scuderia Corsa will also double their efforts this weekend with the third round of the Ferrari Challenge, taking place at their home track in Monterey’s WeatherTech Raceway Laguna Seca. An event unlike any other, the weekend will once again serve as a celebration of Ferrari motorsports and heritage, underscored by 14 entries from the team. With Ferrari Challenge serving as an opportunity to train drivers at a number of experience levels, including those new to the sport, and IMSA serving as the premier category for professional sportscar racing, this weekend will demonstrate the ultimate capability of the organization. Practice for Mid-Ohio begins this Friday, May 4, with race action taking place Sunday at 1PM ET. Coverage in the U.S. will be available via FOX Sports 2, while continuous radio and international coverage will be available via imsa.com, or via the FOX Sports Go mobile app for US viewers. The Ferrari Challenge will run throughout the weekend, with a string of double-header races taking place on both Saturday and Sunday.